Press Release: McIntyre Law's 4th Annual Day of Kindness - McIntyre Law P.C. As one of the founders of Lawyers Against Hunger, McIntyre Law has devoted itself to helping Okahoma’s hungry. The Regional Food Bank estimates that 675,000 Oklahomans don’t know from where their next meal is coming. Lawyers Against Hunger was formed as a nonprofit corporation whose mission is to feed the hungry. Though lawyers are spearheading this effort, lots of businesses are eager to donate, and they’ve already sent money to help with the cost of purchasing turkeys. 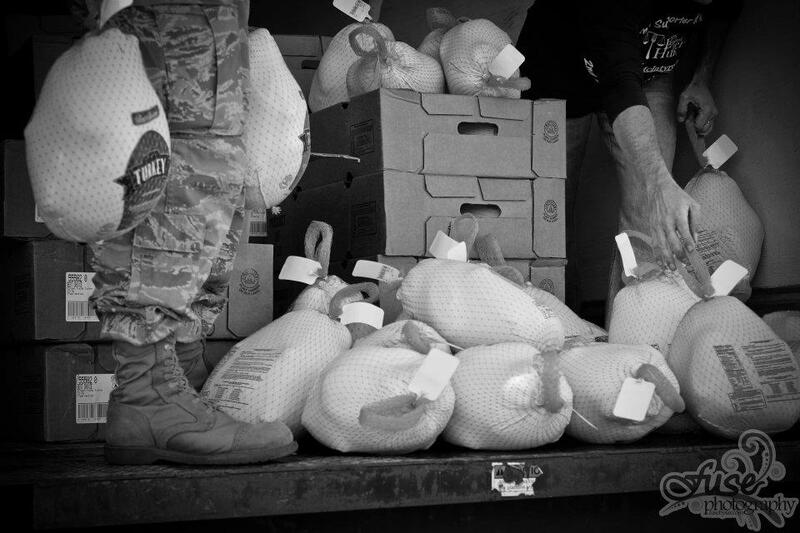 Like last year, there will be four distribution sites so that turkeys can be given to as many hungry Oklahomans as possible. Registration and distribution for Oklahoma County will be at the offices of McIntyre Law, 8601 South Western Avenue, Oklahoma City, on November 20th. Registration starts at 11 a.m., and distribution will be from 12 p.m.-3 p.m. There will be free soda, water and hamburgers. In Canadian County, turkey distribution is being coordinated by Denton Law Firm and The Handley Law Center and will take place at the El Reno Fire Department at 2707 Faith Avenue in El Reno. In Cleveland County, registration and distribution will be at the offices of David Bernstein at 104 West Gray. Finally, in Tulsa, distribution will be at the Iron Gate Ministries parking lot at 6th and Cincinnati. To donate, please send a check payable to Lawyers Against Hunger, Inc. to Noble McIntyre at 8601 South Western Ave., Oklahoma City, OK 73139. I just want to thank you guys for helping so many People with a Turkey for thanksgiving, it is you who have restored My faith in Humanity! Thanks, and Bless you all. Reply to Tim Coats's comment.